Learn how to speak English fluently and spontaneously with helpful instruction on correct pronunciation, grammar, syntax, and word usage, keeping in mind the typical problems of non-native English speakers. 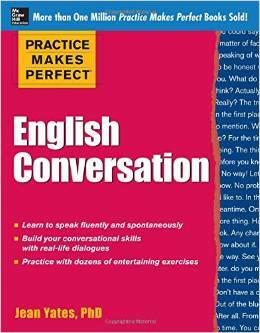 Includes engaging dialogues to illustrate practical conversational situations and example phrases or sentences to clarify each point. Practical and high-frequency vocabulary used throughout. Practical and high-frequency vocabulary used throughout. gives Mark the opportunity to make fun of her. students how often they eat out. Where do they go? What are their favourite cafés or restaurants? What kinds of food are healthy? What kinds of food do you think are ‘yummy’? Top Notch TV Fundamentals Course Season 1. The four-Level “Top Notch TV Video Course,” by Joan Saslow and Allen Ascher, builds both Listening comprehensions skills and Productive Language skills. Each level of “Top Notch TV” consists of a hilarious TV-style situation comedy and authentic on-the-street interviews. In addition, five original pop songs and karaoke help reinforce new language. “Top Notch TV” is available in DVD or VHS format and Comes Packaged with photocopiable Activity Worksheets and Teaching Notes. * As a self-study or distance-learning video-plus-workbook program. Top Notch TV Fundamentals Course Season 1/ Unit 1. * As a video-based Complete Listening / Speaking Course That Teaches Key Vocabulary, Grammar, and Social Language. * As a video-plus-workbook complement to any Low-Beginning to Intermediate-Level English Language Course. Top Notch TV Fundamentals Course Season 1 / Unit 2. * Discuss nationalities and occupations. Top Notch TV Fundamentals Season 1 / Unit 3.